Getting your films and projects out there need not be a train wreck. Meet with Dutch filmmaker Ike Bertels to find out about on-line media. Ike is Dutch (documentary) filmmaker/producer. Since 1983 she has made some films in Mozambique, and so been exposed to working in some of Africa and so developed an affinity for African documentary work. She was also the previous chair of the renowned European Documentary Network for four years. Having this network, she was recently asked by the Dutch-based Video On Demand Platform DocsOnline (now called DO for short) to try to develop something in and for the African region, with African filmmakers. The on-line media is usually "non-exclusive" and while there are several players world wide (and Ike has offered to talk broadly to DFA members about the current European activities in this area), it is a way for SA documentary film-makers to add exposure and some money towards their projects, while in this media maintaining rights. It's also an every increasing market worth leaning more about, if not now, for the next few years where (as we all know) IP TV will be a major player in the distribution of our content. The DO system allows for accurate and transparent reporting back to the filmmaker and talking about money: at DO, the rights owner will earn 50% from the top; the other 50% is for the (non-profit) organisation, to make it work. Ike however warns not expect to earn a lot of money, especially off one VOD platform and at this stage. The filmmakers that have their films on the system (one or more) may earn a 100 euro a month, some less. Ike gives the example of her own single documentary film she has at DO (since the end of last year) where she earned 33,23 euro up to the month of July. You would ask yourself if that's is worth the effort. But she raises the point after uploading content the filmmakers did not have to do anything. And the film is exposed. 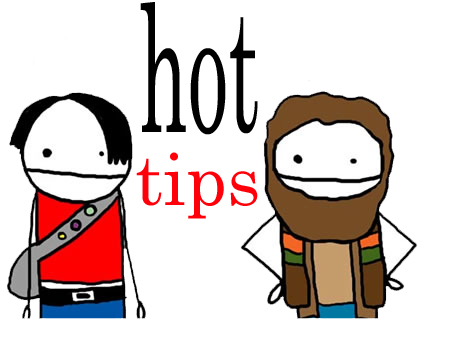 DO works on the information around each film (context) and puts it on other platforms (that do not pay). Because of her interest in Southern Africa, the DFA asked Ike (freelance, for little money and covering of travel costs) to meet with us to assess whether filmmakers in our region would think it of interest to send their films to DocsOnline. We have explained the issues of bandwidth costs in SA to her and I suspect she is keen to find ways around this with us. The DO platform started 2 years ago and has now 120 films, but they would like "to cover the world". Time: 16h30 - 18h00 (latest then fro a drink). Note: Ike has indicated she will also be in Joburg the 12th of September and would have time to meet people and if necessary she can come back from Durban before that. You may contact her directly at: ibf@nbf.nl should you not be able to attend the above and wish to set something up for then. Are you a doc filmmaker in Ghana? Or, will you be shooting in Ghana? The Los Angeles-based Elevate Film Festival, dubbed by Forbes ‘the fastest growing film festival in the world’, is seeking a Ghana-based documentary filmmaker to collaborate on their film project, titled ‘Growing An Empowered Child’ (working title). Brother Ishmael Tetteh, a businessman turned Spiritual Teacher and Founder of the Etherean Mission in Ghana, West Africa, believes that in twenty-five years we can have a world of youth who are free from fear and anger. These children will be aware of their own uniqueness and they will celebrate it in themselves and in their peers. He goes on to further state that an empowered child is peaceful and powerful. When a child is comfortable with themselves they will be comfortable in the world and this will create a world of peace. He believes we can start growing this world now. This inspirational film Growing the Empowered Child will document and show the successful work of Brother Ishmael Tetteh with the children of Ghana. We will show his simple yet powerful techniques as he teaches children how to release their painful experiences and how to lay a foundation for a future of love, peace, prosperity and empowerment. PENNIES AND EYEBALLS – courtesy of Filmmaker Magazine. Producer Noah Harlan of 2.1 Films just came back from the Sundance Producer's Lab and forwarded these comments about some of the topics discussed there. I just got back from the Sundance Producer's Conference and had a few thoughts that I wanted to share with some of you. There was, not surprisingly, a lot of time given towards online distribution, self distribution and new media revenue models given the presence of folks like Ted Sarandos (Netflix), Rick Allen (Snag Films), John Sloss (Cinetic Rights Management) and others. There were a lot of different views and ideas getting kicked around but I have the following thoughts and questions. 1) As people thrash about looking for a revenue model that works the notion of ad-paid content is rising. A stunning statistic came up at one point which no one followed up on and it has to do with Hulu's ad-generated model. Hulu places 4-6 ads on your content for a feature film and you get paid 50/50 with them at $40-$60 CPM per ad that is viewed (ie: if the viewer doesn't watch the whole movie you don't get paid for all the ads, only those that are watched). That means, assuming everyone watches your film all the way through, and you are getting the most number of ads at the highest pay rate, the absolute maximum that 100,000 views of your film will pay you is only $18,000. If you take the case where 100,000 people watch your movie all the way through but it's only 4 ads at $40 per ad then you're making only $8,000. Let's say you are making cheap independent features then you're probably spending, when it's all said & done, somewhere between $150,000 and $600,000 minimum to make your film. In an ad-based model you would need a minimum of at least 800,000 viewers and possibly as many as 3.3 million just to break even. 2) We refer to these systems (Snag, Hulu, youtube, etc...) as online distributors but in fact they are not. They are online exhibitors (portals as Rick Allen was saying). Some are destination sites like youtube, some send the content to you (Netflix's box) and some allow you to move the movies around (Snag) but at the end of the day they are exhibitors. The consequence of that is that you, as the producer/filmmaker, are now the distributor. If you are the distributor then you are now responsible for residuals to SAG and the outcome of the negotiation with the AMPTP is going to mean some form of streaming and download residuals. SAG generally requires a residuals bond of some sort and now that responsibility is going to fall you the filmmaker. I imagine we will see SAG taking the cast shooting bond and just rolling it right over into the residuals bond and you will never see that cash released (or at least not for a long time). This means that the films that most need these self-distribution models (small movies) are going to have an additional cash burden placed on them at the time of production. This is an obstacle to the small filmmaker really making it in the new revenue marketplace. Add to the bond issue the fact that you will also be giving up a few percentage points of your revenue and you're going to see the numbers from point 1 (above) come down even further. 1) I think there is a real future out there but it's going to be a couple years at least until the industry coalesces enough to provide reliable revenue which can be shown to investors. This means that between the lack of data in the new models, the low revenue from the streams, the paucity of viewers in each portal, and the global credit situation we are going to see a tough road in the near-to-mid-term for indie financing, particularly the private equity model. 2) Powerful players are going to be securing the major exhibition models with huge companies like AOL (Snag), Netflix, Apple, Amazon (Reframe) and GE (Hulu) staking hard to replicate claims on territory. There will be some room for small niche players (Jaman?) but generally we'll all be on the big-boys' formats and we'll likely be on more than one of them at a time. This means that the real play for those looking to stake a claim in online distribution is in the marketing space. The people who learn best how to market on the web, drive eyeballs to films and get them to tune in, rent or buy are going to be the new distributors. The Weinsteins (of the 90's) for the 2010's will be people who are great at crawling the internet to find communities and putting video in front of them in the audience's chosen format. 3) The mid-term mistake of Cinetic Rights Management and other similar ventures is that they are going to be eclipsed in value by the companies that bring the marketing muscle (read: dollars) and savvy to the table. Figuring out what platform you should be on is akin to figuring out what theater to program a film into. It is a good skill but one that is of marginal use if no one shows up at the theater. What really matters is the company that can get it to the right theater and then market it. This means that we will see something that will look a lot like what was before. Companies like Strand, New Yorker and Criterion will flourish if they can secure their libraries and make the leap to marketing digitally since they will no longer be saddled with prohibitive print costs and market-by-market advertising. If they don't make the leap then they will be eclipsed by a new breed with a purely digital focus. 4) Michael Barker made the point (while sitting across from Mark Gill of course) that the sky is really not falling. Or if it is, it is no different from all the times it has fallen before. We are in for a few tough years but out the other side are more eyeballs and the possibility of making real revenue in a global marketplace. When the home video was introduced the wholesale price was high and the units that moved were low. When DVD came along the wholesale price plummeted but the units moved skyrocketed and it wound up being far more valuable than the video market distributors were clinging to. The same will happen here. We'll have more viewers but we'll get less for each ($.18 a piece for Hulu apparently right now). That's good. The question is who is going to find those viewers for us. Are you an experienced producer of televison news or factual content with a strong track record, an eye for detail, knowledge of post-production, ability to work to deadline and deliver excellent copy? 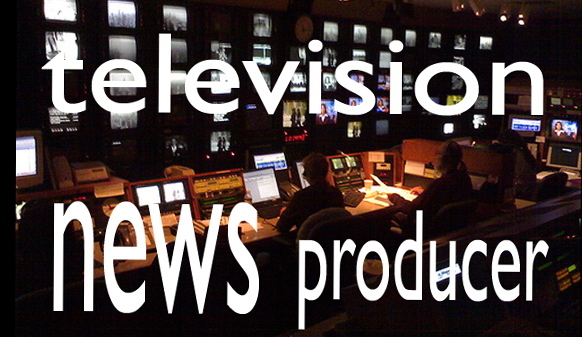 A position is available for a television news producer based in Johannesburg to package a weekly show affiliated to a print news partner. The job needs to be filled as soon as possible. Please email a brief work experience synopsis to Stan Joseph: stan@ochre.co.za Include contact details. 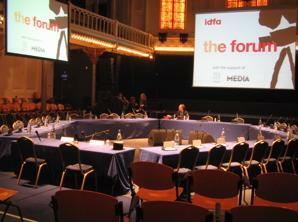 The 16th edition of the FORUM for co-financing documentaries will take place from 24-26 November in Amsterdam. The FORUM is open to projects in all stages of production: besides the regular projects, a limited number of Seedling projects and Rough-cut projects will be selected for the FORUM. The FORUM is Europe's largest gathering of filmmakers, television commissioning editors and independent documentary producers. 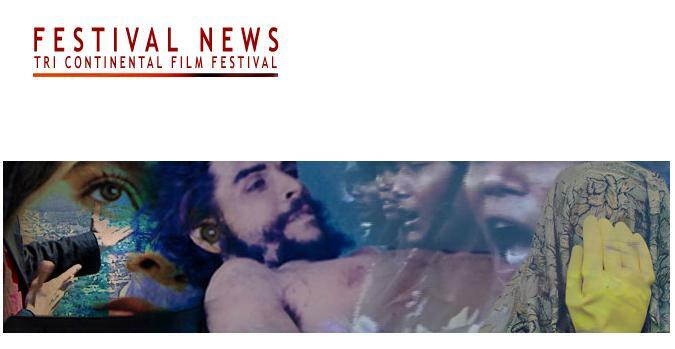 The aim of the FORUM is to stimulate co-financing and co-production of new documentaries by enabling producers to pitch their project concepts to the assembled commissioning editors and other professionals, and to follow up through individual meetings. There are different options to pitch, depending on the stage in which the project currently is. 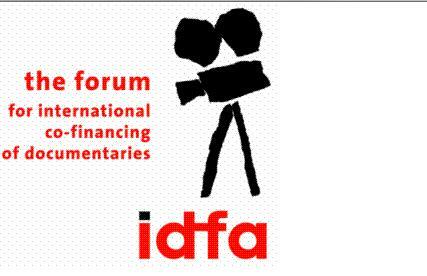 - Documentary projects having at least 25% and maximum 75% of their financing secured, can get selected at the FORUM. - A selection of Seedling (early stage of development) and Rough Cut projects are pitched in a more intimate setting to a smaller group of commissioning editors and other financiers who have indicated their specific interest. The deadline for submission is 1 September 2008. For more information on how to go about submitting your project, click here. Docs for Sale, the documentary market connected to the worlds biggest documentary festival IDFA in Amsterdam, will launch an online marketplace where documentaries can be viewed all year long. The first deadline for registering films is 1 October 2008. The films will be available for online viewing by 1 December 2008. To find about more about DOCS FOR SALE, click here. Each year, the most important players in the documentary industry come together in Amsterdam; their attendance, coupled with the high-quality offering of documentaries, are the secrets to Docs for Sale’s success. For over twelve years, Docs for Sale has been attracting sales agents, TV stations, distributors, and festival programmers. It runs parallel to IDFA and the FORUM and stimulates the sales and distribution of new and exciting creative documentaries all over the world.